Looking for a fun, easy way to interact with your clients or prospective clients? Interactive quizzes are an effective way to build brand awareness and generate leads. 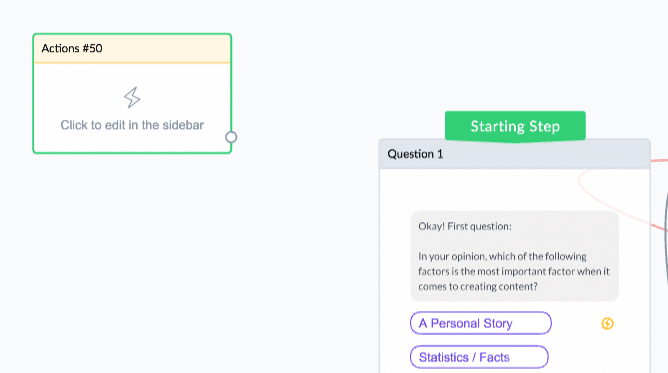 And since Facebook is more about connection than it is about content, why wouldn’t we want to leverage that with an interactive quiz? 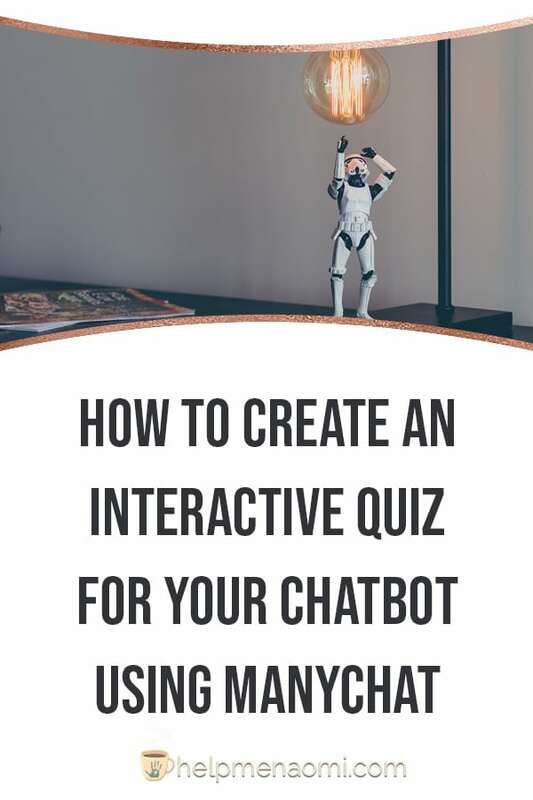 Plus, your chatbot is the perfect medium for an interactive quiz. 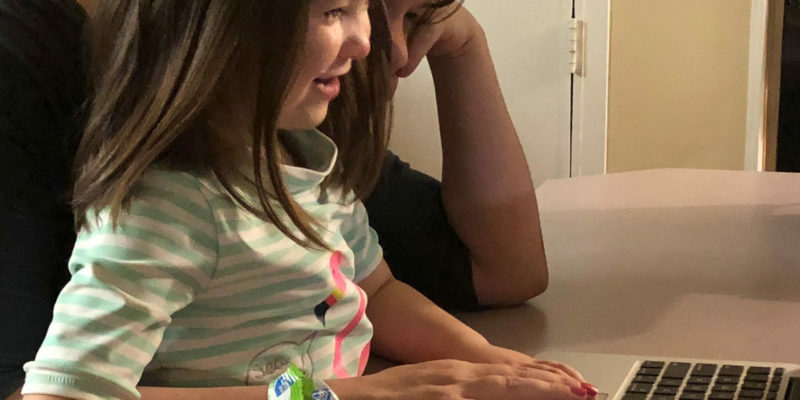 It’s mobile, it’s easy, and it allows you to connect in a more intimate setting (even though it is on a mass level). 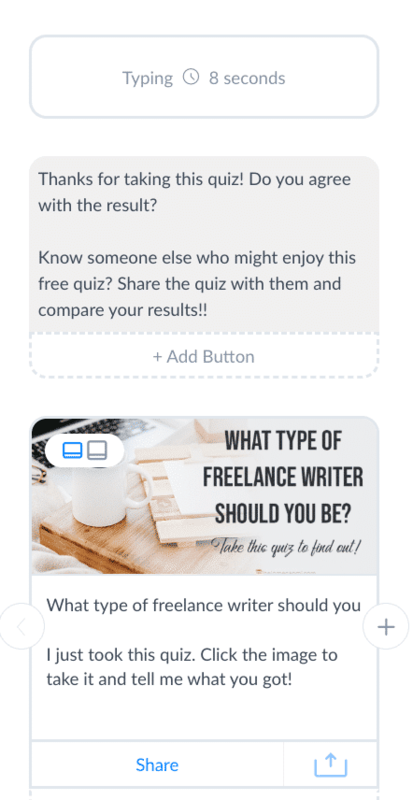 So, I’m going to walk you through step by step how you can leverage the future of Facebook Messenger Marketing and create an interactive quiz using ManyChat. Why Create an Interactive Quiz? Remember when Teen Beat Magazine would ask us questions so we could figure out our ideal hair type? Or when Cosmopolitan invited us to find our flirty style? Since the dawn of advertising, interactive quizzes have a long history of drawing in readers. We love them because they don’t feel like marketing. The mindset behind a quiz is that you aren’t learning about the company who is giving you the quiz — but you’re learning more about yourself. And we all want to learn more about ourselves. (PSST, if you’re short on time and would rather just install a prebuilt template, we can do that too!! You can purchase this entire template, complete with a ready-to-use growth tool opt-in, for just $75. Just install, add your own questions and answers, and you’re ready to go!)! A Pro ManyChat account. 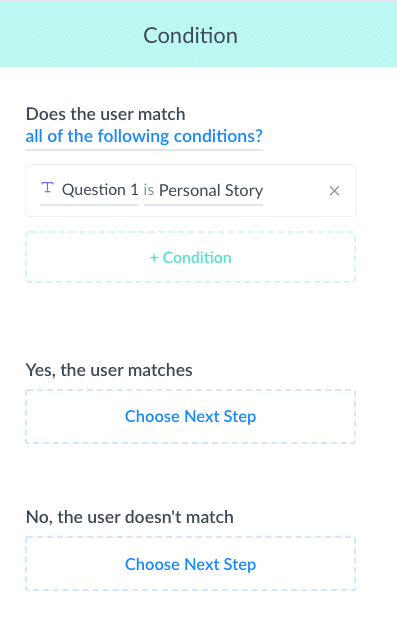 If you want to try to build out a quiz using a free account, you can, but your options would be limited to only the three buttons on any question, and you would have to set up multiple Flows and sequences. If you want to use the Share card to help people share your quiz, you’ll need a graphic with a call to action. optimal size is 909px by 476px. Make up a plan for your quiz. 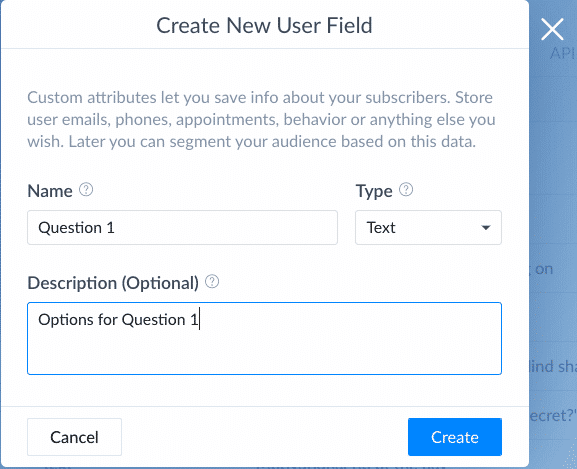 Set up your Custom User Fields. Set up your Growth Tool. 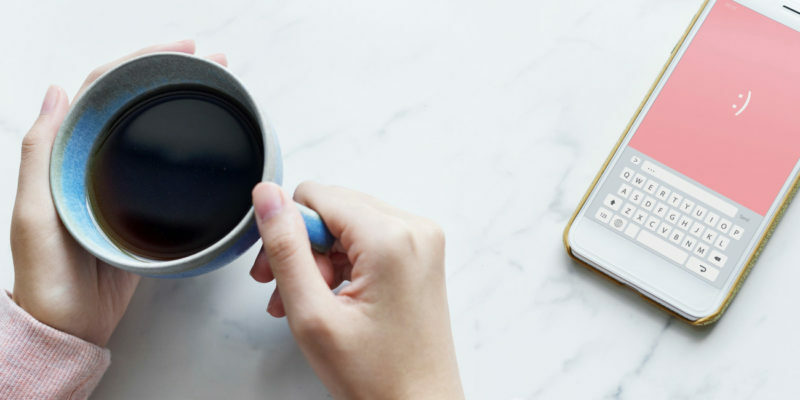 This might seem like a bit of a given, but before you can create your quiz, you’re going to want to know what your audience wants to be quizzed on and how to deliver it. Do you want to do a simple trivia game? Test their knowledge on a particular subject? Or help them make a decision with something? Your answers to this will determine some of the differences in the test itself, such as the types of conditions that we will be setting up. So take some time to think about what you want to quiz your subscribers on and how you want to handle the scoring. 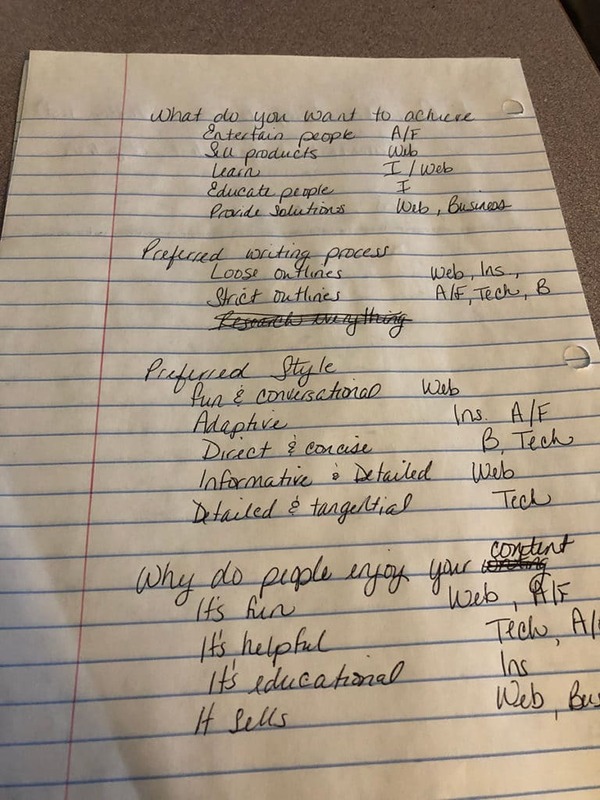 You can see how I brainstormed my chatbot quiz below to help people determine what type of freelance writer they should be. In a quiz like this, there are no wrong answers, but rather it’s taking their preferences and strengths and matching them up against the different types of freelance writers. If your quiz is going to run any calculations, make sure you figure out what those calculations are going to be before you start building. Trust me, getting halfway through building the test and then finding out you have to start all over again to make room for a calculation is just as frustrating as it sounds. Share your quiz bot with someone else? Your strategy is going to determine how you close out your test when we get to that point. 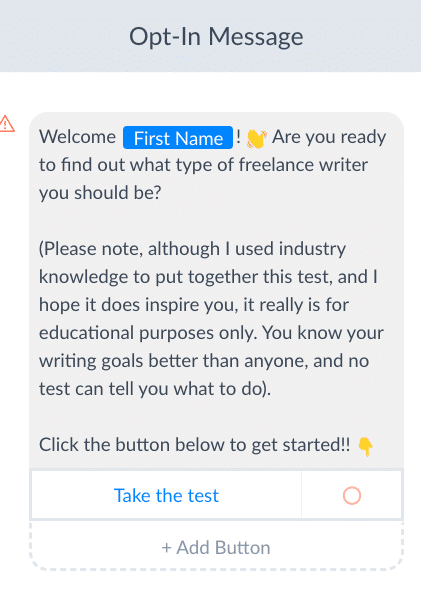 For more complex tests with a few calculations (such as “what type of writer are you” tests), you’ll need one user field for each question, plus one user field for the score (which will be a total of the other fields). 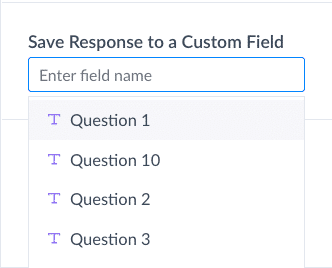 For the question fields, you’re going to want to make sure to set them up as Text Fields. This will let ManyChat know how to store the data that gets entered into that field. 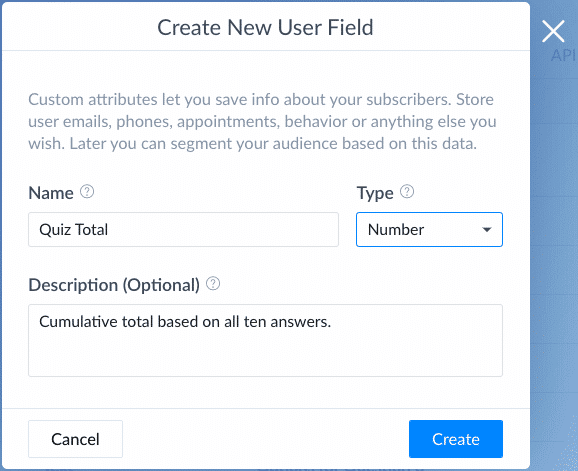 For your quiz score field, you will want to make sure the Custom User Field you create is a Number field. You can choose any type of Growth Tool you want. For my quiz, I chose the Ref URL, because I want people to share the quiz when they are done. A Ref URL produces a link that people can share so their friends can take your quiz. Next, make sure you name your Growth Tool widget and Opt-In message. Otherwise you’ll end up with the default name like “Growth Tool 23” and “Optin Message 24.” And that gets harder and harder to keep straight when you have a lot of sequences and flows going on. Then of course, go ahead and write out your message. Remember, most people will be viewing this on their Facebook messenger, so you’ll want to be as concise as possible. If your message is too long, then they’ll be forced to scroll back up to the top to read it, and that gets annoying. 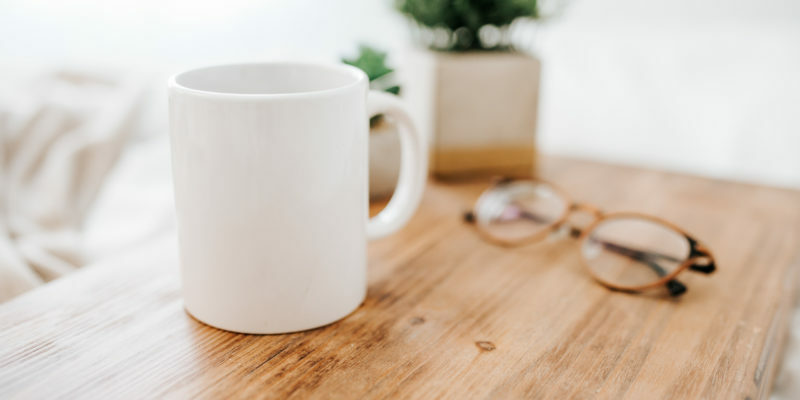 You’ll also want to set up any expectations, give your disclaimers, and anything else you feel your audience might need. Now, I want the chance to be able to use different growth tools for this quiz. For example, one month I might want to place it on my site, and another month I might want to place it on my main menu or place an ad or something else. So rather than building out the entire quiz here, I’m going to set the button to open a new flow. 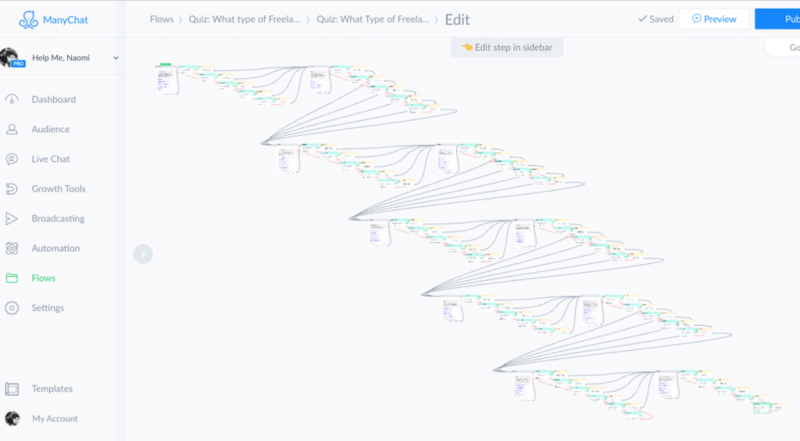 Obviously I can’t specify which flow yet, because you can only choose a published flow. So for now, make sure your growth tool is saved. There will be a small alert notice letting you know that you can’t publish the tool until you specify the flow. But we’ll do that after we build the flow. Now, I could have built the test first and then gone back and built the Growth Tool. And there’s no real reason not to do it that way. But, I chose to do it in this order so that I could get that URL to use when I close my quiz. Now the fun part: setting up the actual quiz!! So, questions in hand, it’s time to set up that flow. 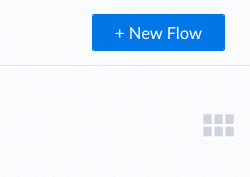 Then, click on the blue + New Flow button at the top right to create the new flow. This will be important when you want to run your condition checks later on in the flow. Then it’s time to start typing in your options. The Quick Reply buttons only allow you up to 20 characters, so you’ll need to work out a way to fit your options into a very small space. Now, we could have chosen to send a plain message with Quick Reply buttons and then set each button to go down a specific path. 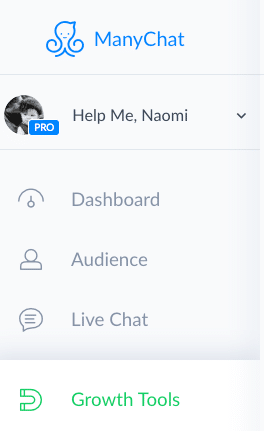 But the reason you want to set up your questions as User Input is so that you can run a Condition so the ManyChat flow can do the calculations for you. Check, is the answer Option A? If Yes, take an action; if no, run another condition. Check, is the answer Option B? If yes, take an action; if no, run another condition. Check, is the answer Option C? If yes, take an action; if no, run another condition. Check, is the answer Option D? If yes, take an action; if no, run another condition. Check, is the answer Option E? If yes, take an action; if no, run the first condition again. Believe me, this is all going to make sense in a minute. So, first, set the check. You’re looking for whether or not Question 1 equals whatever your first button was. Make sure when you type in the answers that they match exactly how you typed them onto the buttons, or else the condition will always come back as false. 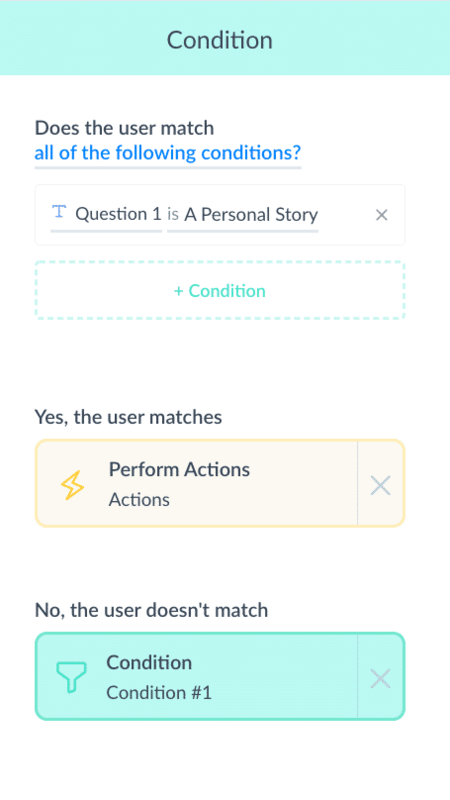 When you click on Perform Actions, this is where you’re going to tell ManyChat what calculation to start making for the quiz. Next, set up the new condition. In a quiz like this, each answer is assigned a value between one and five. If you only have three options, then you might want to assign each one a value between one and three, or count by fives, or some other value depending on how your quiz will actually run. 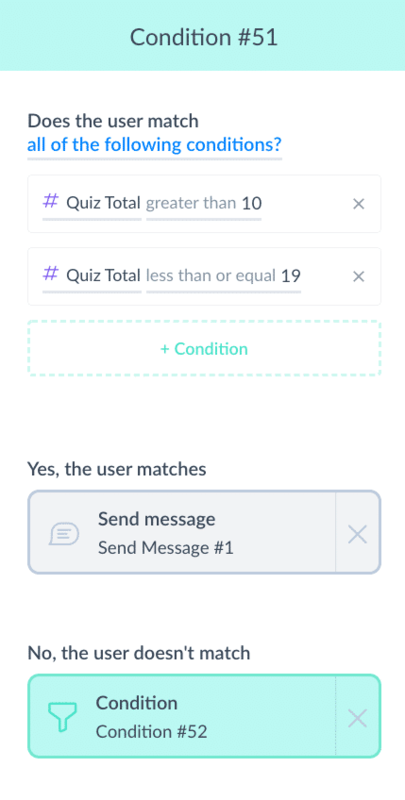 Rather than telling ManyChat to set up a value in the Quiz Total, you’re going to tell ManyChat to add a value to the Quiz Total based on the answer. Obviously, the value amount you type in there is going to depend on the value you’ve assigned to your answer. With that done, it’s time for ManyChat to run the next check. 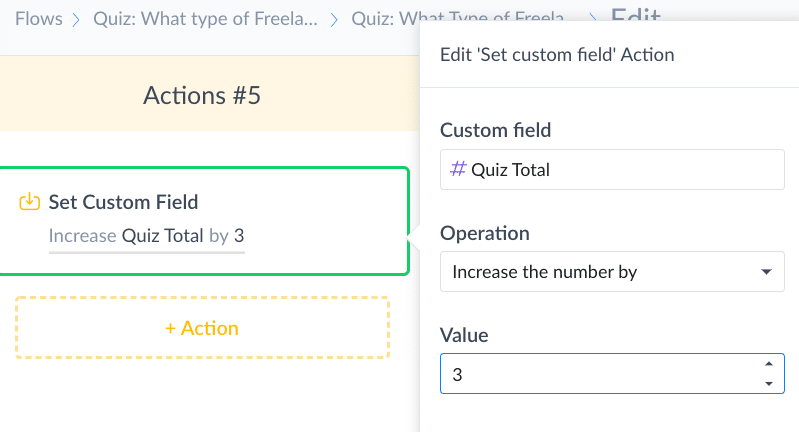 Check that the value in the Question 1 Custom Field is equal to the value in your second button. 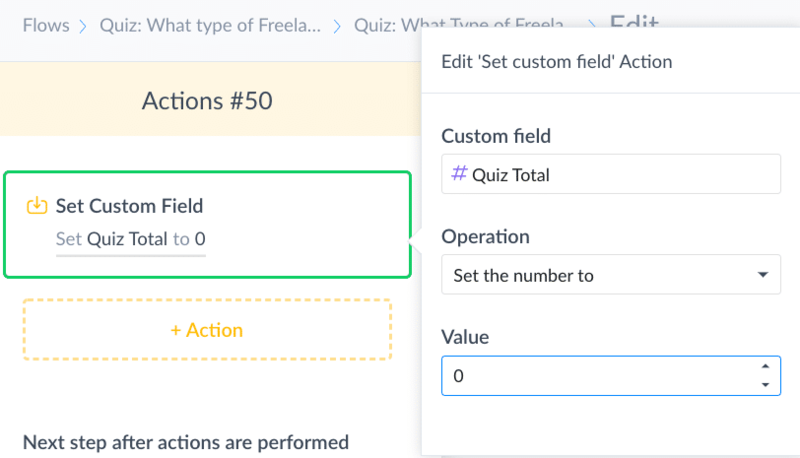 Under “Yes,” select “Perform Actions” and set the Quiz Total number field to add a value based on the answer. Under “No,” select “Condition” and move to the next check. You’ll notice that last Condition doesn’t have an option for the “No” attached to it yet. That’s because by the time ManyChat runs through all these checks, there should be no way that becomes an issue. 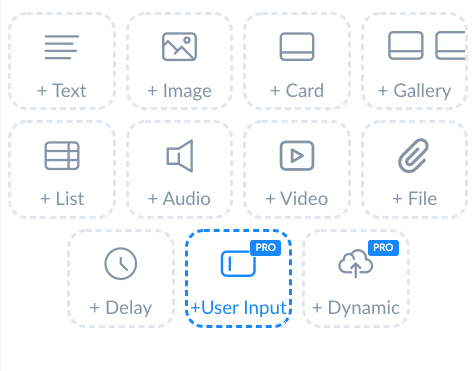 And, technically speaking, ManyChat will allow you to save your flow just like this without any issues — it doesn’t require that you connect that “No” to anything. Then? Rinse, lather, and repeat. Then run through the process again. 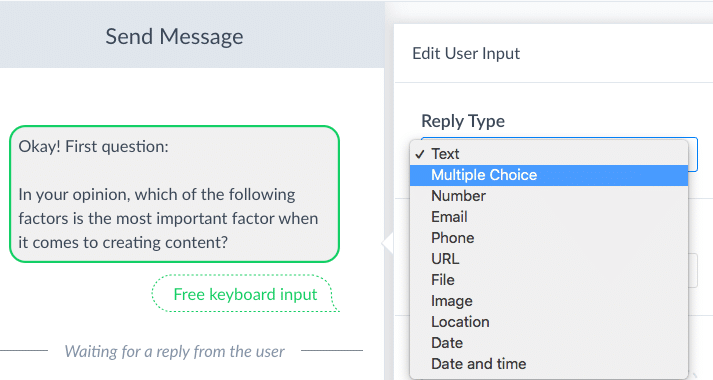 Set up your actions and conditions for each possible answer, assigning your answers a value as you go and telling ManyChat how much value to add to the Quiz Total for each response. Kind of a monster right? Now it’s time to close it up. Exactly how you close your Flow is going to depend on how you’ve set up your quiz to run. 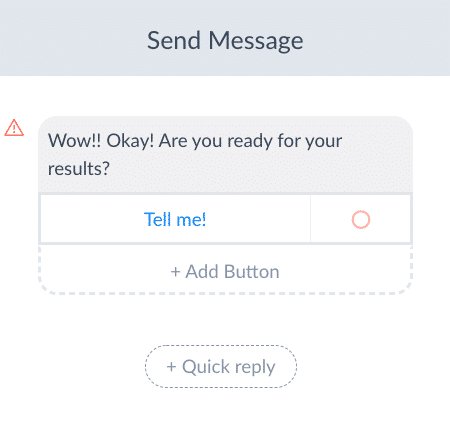 So, first, set up a message asking the audience if they’re ready to see their result, and set the actions from your last question to all point to it. This will tell them that the quiz is over and give ManyChat a few seconds to catch up. You can skip this step if you want, and have the actions from your last question all point to the next Condition instead, but it can be a little jarring when results to a test just start popping up. Set up a Condition for the Quiz Total. Does the Quiz Total meet the Condition? If Yes, send result. If No, run a new Condition. Why 10-19 and not 1-19? Because 10 is the lowest possible score you can get in this particular quiz. Just as before, I’ve looped the “No” from the last Condition back around to the first Condition to make sure everything is closed up. If you prefer, you can just have ManyChat send up the total along with a brief message and allow people to read the entire results spectrum and decide for themselves. I chose to break down the answers because this is Messenger and I didn’t want to send a super-long message. This is also the time you want to Preview your test by clicking on the white Preview button at the top right of the screen. This will allow you to see the test from your audience’s perspective as well as spot any holes that might have been missed. Once you’re happy with everything, you have a couple finishing touches and this test is ready to go. With any of these options, the process is pretty straight forward. Set up a message with a button at the bottom and put the link you want them to follow in the button.. I said earlier that I wanted people to share this quiz with their friends. So I am going to make that easy for them to do by using a Share Card. So, first, I want to add in a delay. After all, the bot just sent them their result and I want to make sure they have enough time to read it before a new message pops up and throws it upward (which is annoying and makes everything a little harder to read). The card has three fields to fill in: an image (909px by 476px), a headline, and a sub heading. You’ll want to fill this out, keeping in mind that the person who receives the card is receiving it from a friend who just took your quiz. 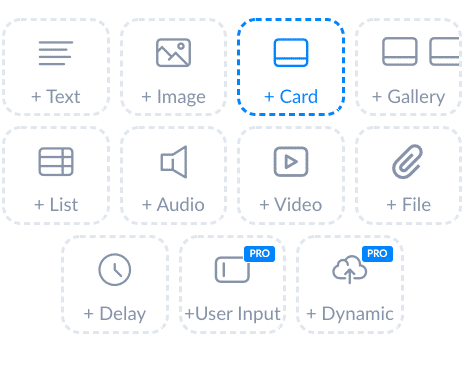 Now, when the recipient taps or clicks on the image in that card, they will be taken to your chatbot so they can take the quiz, too. And you’re finally ready to share your new quiz!! Go ahead and hit “Publish” (big blue button in the top right corner of your screen). Then go back to your Growth Tool and finish connecting the Flow so you can activate that.